While stepping into a Nebraska Cornhuskers college football game at the age of seven, this brain cancer patient scored a touchdown for the team and rose to international fame. At age five, he was diagnosed with a pediatric, malignant brain tumor known as a glioma. Following multiple surgeries and rounds of chemotherapy, he entered remission in 2013. In April of 2013, he visited President Barack Obama in the Oval Office. He and his sisters, Reese and Ava, were born in Atkinson, Nebraska, to Bri and Andy Hoffman. 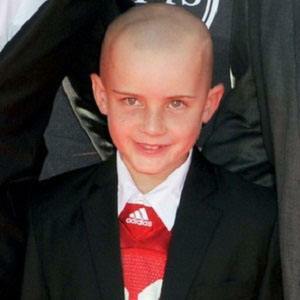 His family's Team Jack Foundation raised over a million dollars for children's brain tumor research. He made his historic touchdown after forming a close bond with Cornhuskers player (and future Cincinnati Bengals running back) Rex Burkhead and the rest of Burkhead's college teammates.